Groom to be Sash - Quality black satin man size sash with white writing. 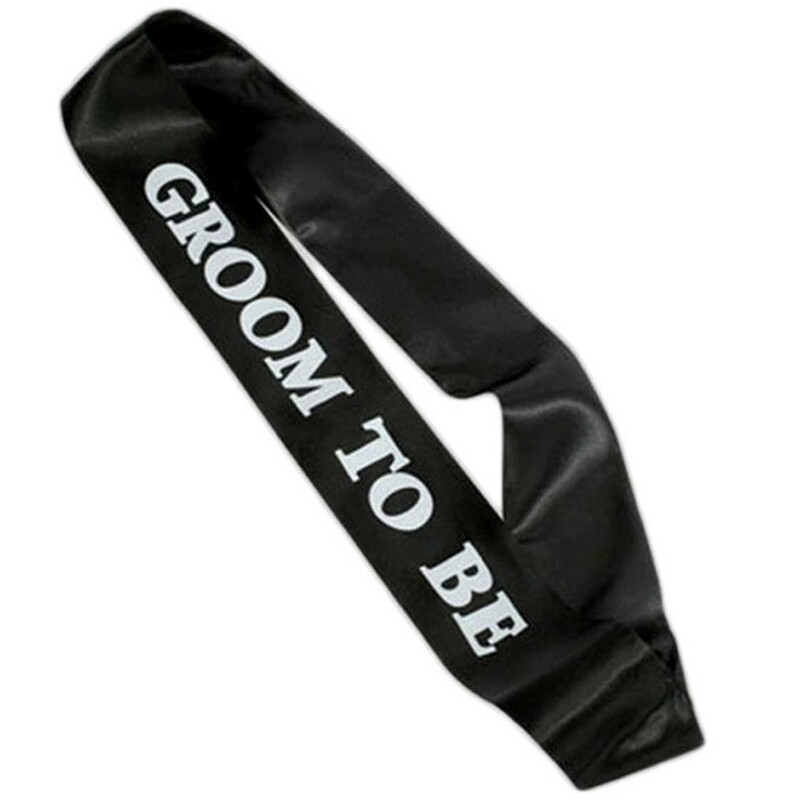 Groom to be Sash– Quality black satin sash with white writing measuring 85cm x 9.5cm. This Groom to be Sash is perfect for telling the world that your friends bachelor life is at an end! A Groom to be Sash.